EDIT: The referral links and referral page on the Surprise Ride website currently seem to be down, but while I'm checking into this, feel free to visit Money Saving Mom, which has a link for a free box that seems to be working just fine! We recently received our first Surprise Ride box for Eisley, and I was so impressed that I had to bust out the fancy camera for some photos (and share the goodness here, of course!). I was able to get our first box for free, thanks to using a referral from another blogger, and you can also get yours for free if you use my link at the bottom of the post. I was honestly just planning to get the free box, then cancel my subscription, but due to the fact that Eisley learned so much from the whole experience and absolutely loved the projects, I am hoping to add it into our homeschooling budget every month. I'm sold! Eisley has loved this series since we discovered them earlier this year (and she can now read them all on her own! ), so we were both excited to receive this book. 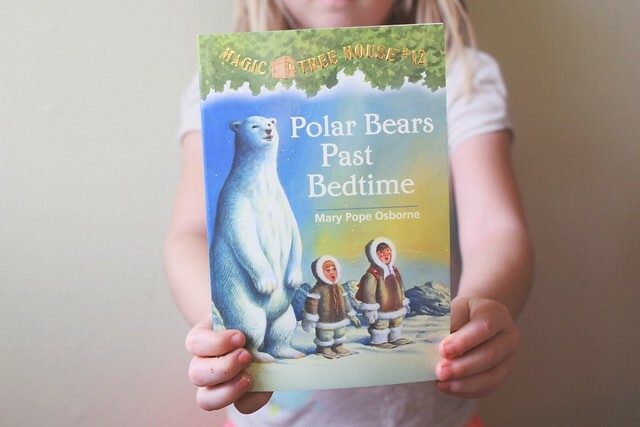 While they're not the most well-written books, they're such fun early chapter books and are a great introduction to many things a child may never think to read about on their own. Very fun! 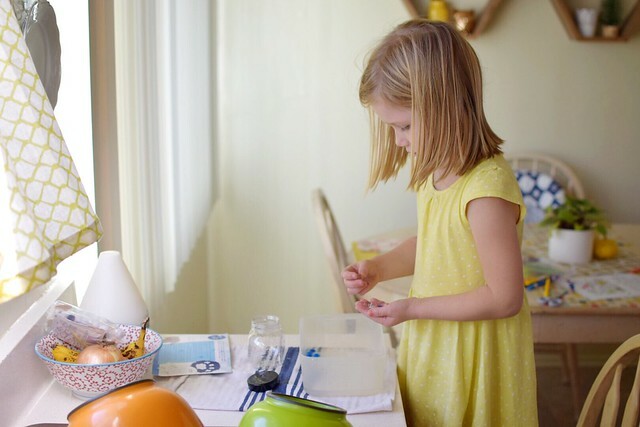 This project was very fun for Eisley, and I love that they included everything you needed to make the coaster—down to the miniature bottle of tacky glue! 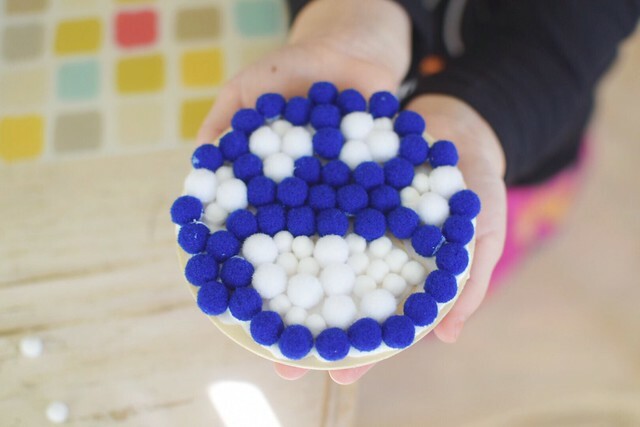 There were pompoms leftover, which we will totally use for something else in the future, I'm sure. Eisley says her favorite part of the box was the snack (no surprise there!). 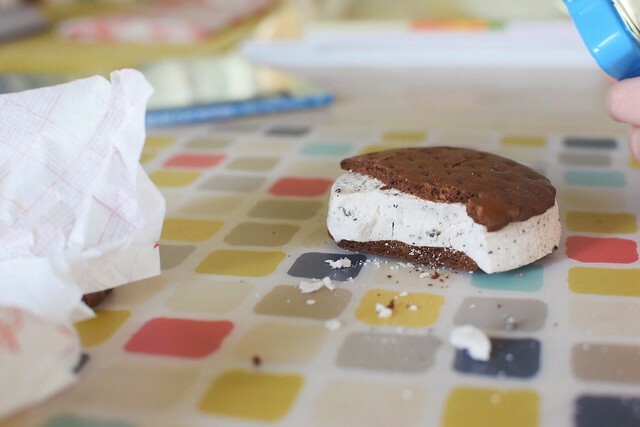 This freeze-dried ice cream sandwich was totally bizarre and delicious. It was fun getting to try something she would normally never eat! The second project had her create a polar bear habitat using water beads, which she absolutely loved. For some reason we've never used water beads before and now I'm totally regretting it, because those things buy me a solid 30 minutes (or more) of creative play for this child. I love that you can reuse water beads, because this is something that she will get so much use out of over and over. That's a mom win, I'd say! 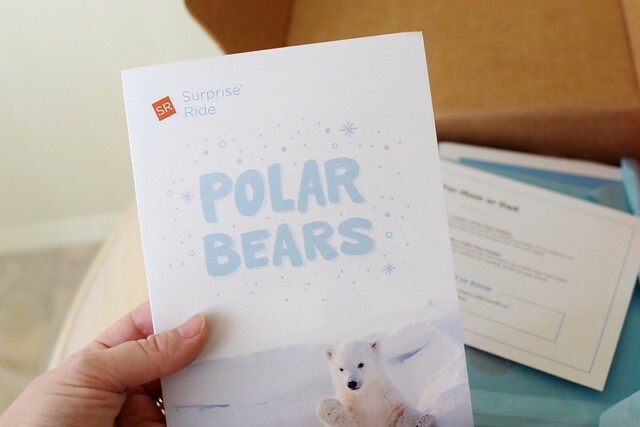 If you're interested in Surprise Ride and would like to snag your first box for free then click here to sign up! You'll only pay shipping, which is less than $6. If you don't want to receive any boxes after the first one, just be sure to shoot them an email before the 15th of the month to avoid being billed again. Future boxes cost $29.95 (including shipping), but remember to share your referral link if you love what you received, and if someone signs up using your link you'll get $10 off your next box. 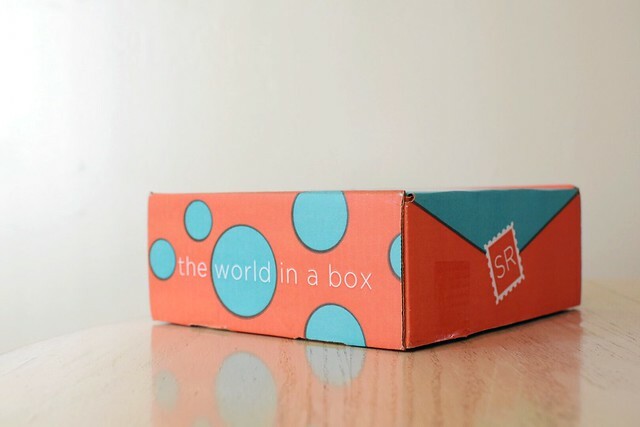 Honestly, even if you end up cancelling after the first month, I think it's more than worth it to get your first box for free—you could even wrap it up to use as a Christmas gift, or save the activities for your child to do over the holidays with you, grandparents, or other family members they don't often get to spend time with. Have your children received one of these before? 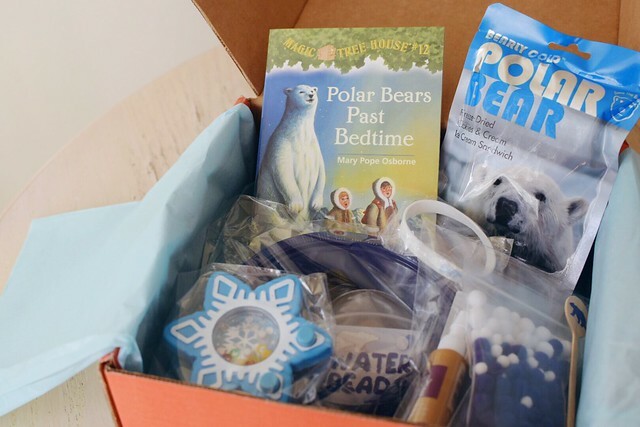 Are there any subscription boxes for kids that you absolutely adore? I know there are so many out there, so it's nice to weed through them all by hearing what actual mamas think. Affiliate links included in this post. If you order through my referral links, I will receive $10 to use toward my next order. Thank you for your support (and for helping to stretch our homeschooling budget!). View my disclosure policy here. I really want to try this for Meredith! For some reason, the Surprise Ride website won't let me submit my order. I've tried on multiple browsers a few times, so for now I'm just going to give up. I hope to remember to try again another day! This looks like so much fun! I love the idea of everything being around a specific, kid-friendly theme.